Lets say for the most people at most times. But not always. But this new Hindu AI-theories are an very extreme example imo. Of course not as problematic as the fundamentalist Christian views in the US...those are even much more stupid. Its imo a shame that white European people can be so stupid in the 21st century. The Aryan Invasion theory is hardly new! In fact what is 'new' is the attempt to reject it. A new form of scholarly political correctness states that invasions by the Aryans and the Vikings etc., did not really happen, but were 'myths'! Unfortunately, such rejectionists cannot convincingly explain radical culture changes in general, and how Aryan culture was spread in particular. Fortunately, there have been invasions within recent history which provide a model of how one culture can invade another, conquer it, and then impose the conqueror's culture. How does this relate to Christian fundamentalism? - can you be more precise? [* The continuance of this thread was split off by myself ( continuance is 'Aryan Invaders') as it became very involved, when the original intent was only to make a sticky of the linked 'Bible of AI' as an information source. Therefore the present thread serves this purpose, and the split carries on the interesting discussion]. Last edited by Moody; Thursday, June 24th, 2004 at 04:10 PM. Dalistan.org is based in U.S. and headed by christians and aims at dividing the Hindu society between the upper castes and lower castes. It would not mention what all facilities are being provided to lower castes today according to the Indian constitution in education, in jobs, in business, in housing, in giving bank loans, practically all fields of life. Its users are of two types (1) christian missionaries who have declared that 21st Century must belong to Christ, (2) Indian politicians who want to garner the lower caste votes to win elections and then benefit personally, they are not known for being of any help to the sections that they are supposed to represent. As for Aryan invasion, the current theories are unfortunately not true. 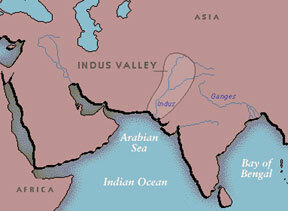 Aryans were not indigenous to India and came from sub-polar regions. They moved from their homeland due to advent of glaciation. The Vedas mention sub-polar day, nights, dawns and dusks very clearly, and it clearly negates Indian origin of Aryans. That theory is nothing else other than the Hindu reluctance because if they admit it they are faced with the invasion theory. But then Aryans could also not be from Kurgan or any other nearby regions, because these regions also do not have the sub-polar day/night (Ahoratra) mentioned in the Vedas. As I have mentioned in other threads, there are two candiates, Scandinavia or Siberia. People should remember that in the glacial period, the sea levels were very low, and that there is a huge shallow continental shelf beyond Scandinavia as well as Siberia. Perhaps land extended much farther north during that period. Then in another thread I have discussed the Aryan psyche. They were a peaceful people. Of course, during their travels, they must have been engaged in minor skirmishes, but I believe that they resolved these without loosing much time. The Aryans remained for a long time in Central Asia. Parsi Avesta mentions thirteen places starting from Sugadha (Sogdiana) to where they lived before moving into India. It is but natural that they came in contact with Hindus who were spread all over Afghanistan, South of Hindukush mountains (Uttarapatha), and even north of Uttarapatha (Param Kamboj, Uttara Madra, Uttara Kuru). I believe many later portions of Vedas and other related literature (Brahmanas, Aranyakas, and Upanishads) were composed when Aryans were in this region. It is here I suppose the Aryan/Hindu mix took place. Both respected the wisdom of each other. Brahmins must have migrated even before the warriors came. Some Aryans might have established their kingdoms in Northern India where something like what happened with Mughals must have happened. The army of these kings would have a large number of local people and their would be marriage relations between the two races. You should also remember that a large number North Indian people are fair even if they may not be Aryans. The chief of mughal emperor Akbar's army was the hindu king of Jaipur (Man Singh who was also related to him). Alexander's army also contained a large number of Persians. If the kings are wise, enemities do not linger long. I would end the post by saying that Aryans and Hindus did not fight, admired each other, and were happy to gel together. Today, I suppose, even an mtDNA test would not be able to find the difference. It is but natural that they came in contact with Hindus who were spread all over Afghanistan, South of Hindukush mountains (Uttarapatha), and even north of Uttarapatha (Param Kamboj, Uttara Madra, Uttara Kuru). Brahmins must have migrated even before the warriors came. What do you mean by Hindus were spread in Afghanistan? Are there any archaeological or linguistic support for this? Again, what makes you say Brahmins migrated out before the warriors? Correct me if I'm wrong, but a casteist outline was already present at the time of the Rig Veda. The Aryans who came to India were a rather small group in comparison, they mainly influenced more Northern regions, influenced the Pamirid and Nordindid groups to a certain degree, but further South they had no significant influence. Some make the difference by dividing Indoaryans and Dravidas, but in fact Dravidas being Europid Indians, Neolithic people which had already a large part of the later Indian civilisation. In the North an Aryan upper class united with this Europid Dravidas and formed a new, Indoaryan culture, whereas those Dravidas which wanted to be independent or were not accepted, no Aryan allies, went South and built up new Dravidian cultures. There are more and less Aryan, Northern Indian influenced groups obviously, but some predominantely Europid-Indid areas are Dravidian and under Dravidians the old Indus-culture variants of Europid character can be detected too. Thais in China had a similar fate, most were assimilated by old Chinese, but large parts of their upper and warrior class moved South, formed new reigns with South East Asian people. Aryans in India must be seen in context, compared with the Iranian groups (Persians, Meds, Mitanni upper class etc.) and later influences from the Aryan steppe people (Scythians, Parthians etc.). In all cases Aryans were just one part of the later ethnic group and united usually with the local upper class sooner or later. In the case of India most likely with an older, probably Dravidian based Europid-Indid upper class. Together they conquered the Weddoid jungle people. What do you mean by Hindus were spread in Afghanistan? .. Again, what makes you say Brahmins migrated out before the warriors? Correct me if I'm wrong, but a casteist outline was already present at the time of the Rig Veda. Hindus were present in Afghanistan, and beyond Hindukush mountains in the region which we knew as 'Uttarapatha' (Northern Road). Even during the Harappa times, a flourishing trade route existed between the Silk Road and ports in Gujarat, India (Dwaraka) though Punjab and Sindh. Another port which has been excavated is Lothal (Gujarat). They traded with Yemen and Middle East. There would be people like Marcopolo, Fa Hian and Huen Tsang among the brahmins who like to know about new culture and philosophy, tell about their own philosophy, visit new places, and would not threaten anybody. They would be the first to move out. A caste/varna outline was present in Aryans and Vedas, as also among the Zorastrians, and exists even today. The fact makes me think that it might have been the Aryans who brought the 'Varnas' to India. I do not discount the presence of a similar system in India. That would make assimilation even easier. whereas those Dravidas which wanted to be independent or were not accepted, no Aryan allies, went South and built up new Dravidian cultures .. under Dravidians the old Indus-culture variants of Europid character can be detected .. an older, probably Dravidian based Europid-Indid upper class. Together they conquered the Weddoid jungle people. The Dravidas were completely assimilated with the Aryans. The credit is given to the Sage Agastya who is supposed to be first Arya to cross the mid-Indian mountains, the Vindhyas. The differences you see today (basically limited to the state of Tamilnadu) are the result of conspiracy by Christian missionaries and later by political leaders vying for influence. Each new one tries to be more vocal than the previous. Indians know the truth and are least worried about this. True, the more conservative South Indian brahmins have contributed to this. The missionaries and dravidians who have accepted Christianity want this to be proved that they have sumerian origins, but they have not been successful till now. There is no special similarity between Harppan culture (which again they would like to be proved to derive from Mesopotamia) and the Tamil culture. Unless the Harappan seals can be deciphered nothing can be said, it could even prove to be Aryan as some people maintain. There are all types of people in India. The negrittos, the negroid, and what you term as Dravidians (which is not a true racial type but perhaps a complex mixture) apart from the Northern Indian mix. The people who remained in cities and villages, interacted and mixed racially with others. Only those who remained in deep jungles remained out of the pale, and yes, Veddas were one such example. But the pressure of population in India is so great that nobody really can remain out for long. My humble view.